Item # 318085 Stash Points: 995 (?) This is the number of points you get in The Zumiez Stash for purchasing this item. Stash points are redeemable for exclusive rewards only available to Zumiez Stash members. To redeem your points check out the rewards catalog on thestash.zumiez.com. 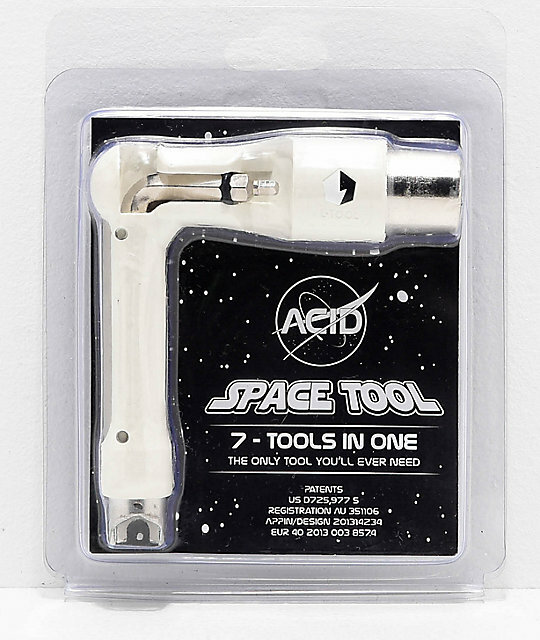 Never leave the house unprepared for last minute skateboard complete tune ups with the Acid Chemical Co. Space White Skate Tool. 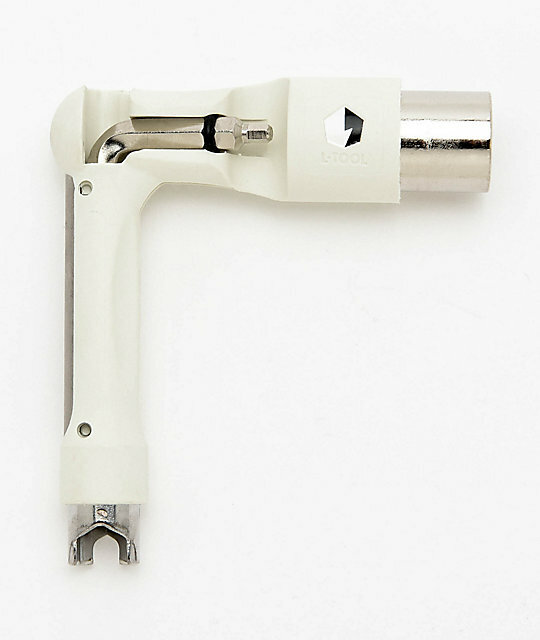 Offering a durable plastic and metal construction, this skate tool provides a compact design that's easy to store in sling bags and fanny packs alike. 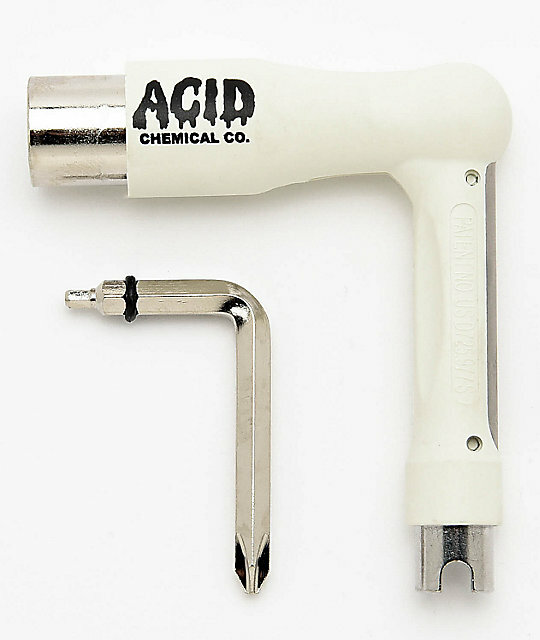 Space White Skate Tool from Acid Chemical Co.
9/16", 1/2", and 3/8 sockets. 7/32" and 1/8" Allen wrenches. Steel plate for griptape scoring. 4" wide and 4" tall.